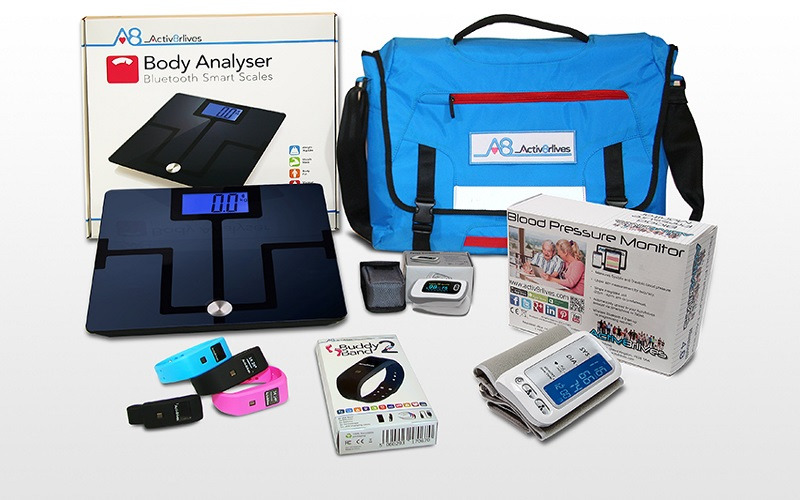 Win a Digital Wireless Health-Monitoring Kit! Activ8rlives brings one lucky family the benefits of the perfect devices to help you monitor and maintain a healthy weight and lifestyle, for you and your family. Included is the Activ8rIives Blood Pressure, Smart Scales, Pulse Oximeter and BuddyBand2 waterproof activity and sleep tracker. Worth £264, all packaged in convenient storage bag, free App and free life-long subscription. Upper Arm Blood Pressure monitor measures Systolic and Diastolic blood pressure, pulse rate and detects irregular heartbeat to monitor any previously diagnosed cardiovascular problems. Sleek Body Analyser smart scales measure weight, body and visceral fat, bone density, muscle mass, hydration and BMI to assist with a healthy body weight. The Pulse Oximeter2 allows you to monitor aspects of your lung and cardiovascular functions— especially if you have respiratory conditions - and need to monitor your blood oxygen saturation and pulse rate. The multi-feature waterproof BuddyBand2 activity tracker monitors physical activity, energy expenditure, distance, total active time each day. Ideal for aqua aerobics and outdoor sports. Interchangeable Wrist Straps and Belt Clip included. Activ8rlives health and wellness monitors are easy to operate and supplied with printed colour manuals. The free Activ8rlives4 Wellbeing and Food Diary App (iOS and Android) guides you through the process. Data is automatically uploaded via your wireless-connected phone or tablet, and allows wellness tracking over time.